Vauxhall Astra J GTC 1.6T (180PS) Superchips ECU remap gains 20bhp! Superchips Ltd, Europe’s leading automative performance electronics specialist, has a great track record in providing exciting, reliable ECU remaps for Vauxhall / Opel cars since the mid-1980’s. 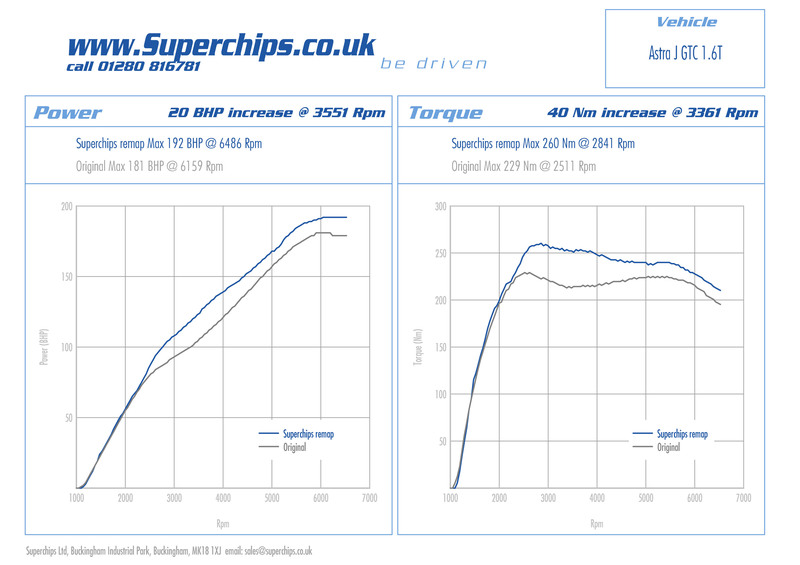 And Superchips’ latest new release adds to that reputation, as it’s for the hot Vauxhall Astra GTC 1.6T (180PS,) which Superchips enhances to provide an even more responsive and electrifying drive. 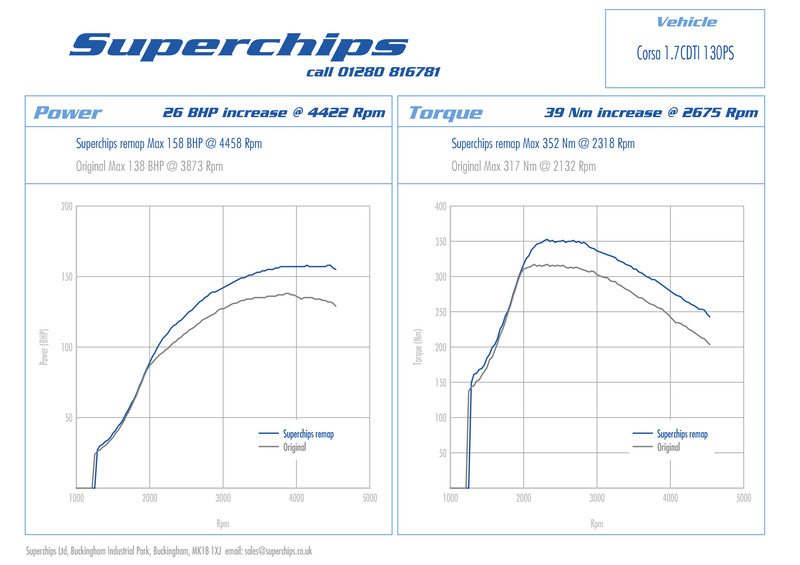 The new Superchips ECU remap for the 1598cc Vauxhall Astra GTC 1.6T (180PS) gains a maximum of 20bhp at just 3551 rpm, with noticeable power increases from just 2400 rpm all the way to the 6500 rpm limiter. Likewise, peak torque jumps by 40 Nm at 2841 rpm with the Superchips ECU remap, translating into faster acceleration, sharper response and a more exciting drive on the road. Suited to all variants of the Vauxhall Astra GTC 1.6T (180PS) produced from June 2011 onwards, the Superchips ECU remap is available now, priced at £430.00 inclusive of VAT and installation. Attention Vauxhall Astra Sri CDTi 160PS drivers – Superchips is pleased to announce an ECU remap which boosts the power and torque on the latest (September 2010 onwards) version which uses Bosch EDC17 engine management. 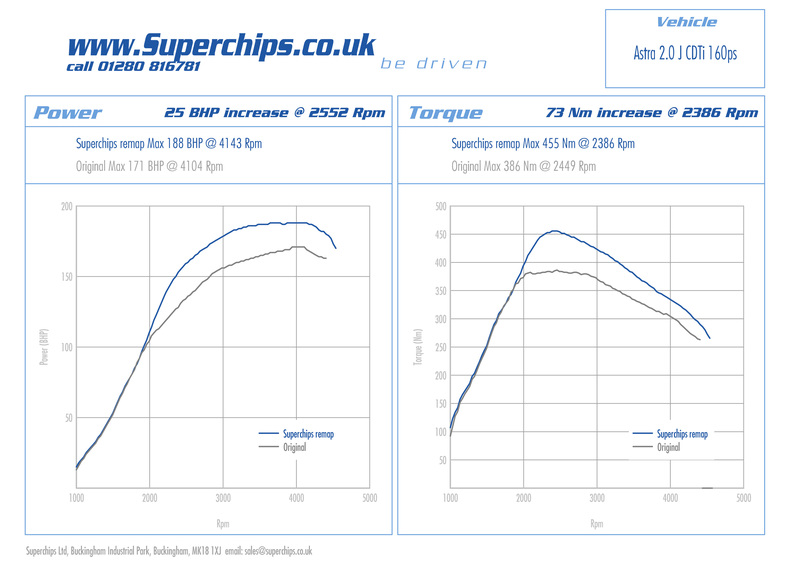 The Superchips ECU remap (aka ‘chip’) for the Vauxhall Astra Sri CDTi 160PS model raises power by 25 bhp at 2552 rpm and torque of 73 Nm at 2386 rpm – see the power curves below. On the road the Superchips ECU remap tune for the Vauxhall Astra Sri CDTi delivers noticeable levels of extra performance, making overtaking more enjoyable and driving more exciting. And, thanks to the extra efficiencies realised by the Superchips remap drivers can enjoy proven fuel economy improvements of up to 7%.